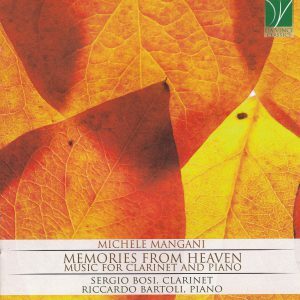 Memories from Heaven: Music for Clarinet and Piano, released by Da Vinci Classics (C00104), presents clarinetist Sergio Bosi and pianist Riccardo Bartoli in a number of premiere recordings of compositions by esteemed Italian composer Michele Mangani (b. 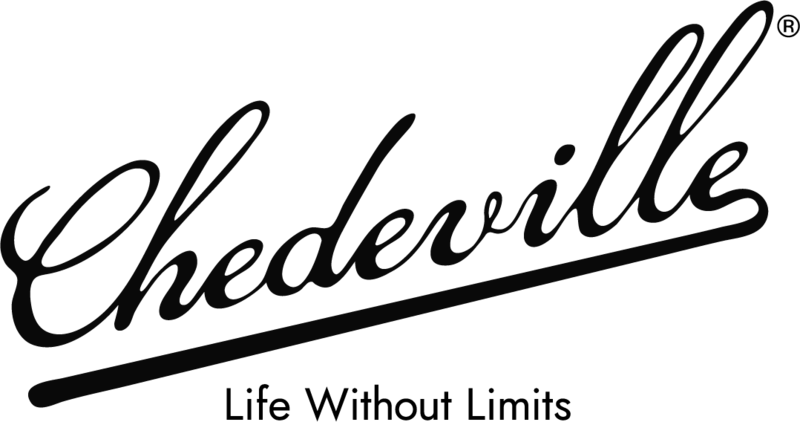 1966). Mangani is a familiar name to the International Clarinet Association membership, with numerous works appearing on ClarinetFest® programs in recent years. This past summer at ClarinetFest® in Ostend, his Concerto for Clarinet received its premiere by Corrado Giuffredi with the Band of the Royal Belgian Guides conducted by Yves Segers. Mangani’s works, numbering over 500, are published by Eufonia Music Edition. He serves as conductor of the Wind Orchestra of Marche and as a professor at the G. Rossini Conservatory in Pesaro. and Piano share titles with Francis Poulenc’s work in that genre. Mangani’s writing is clearly rooted in traditions of tonality and formal structure, which is aesthetically pleasing. However, as a complete program, I desired a contrasting sound world at times. 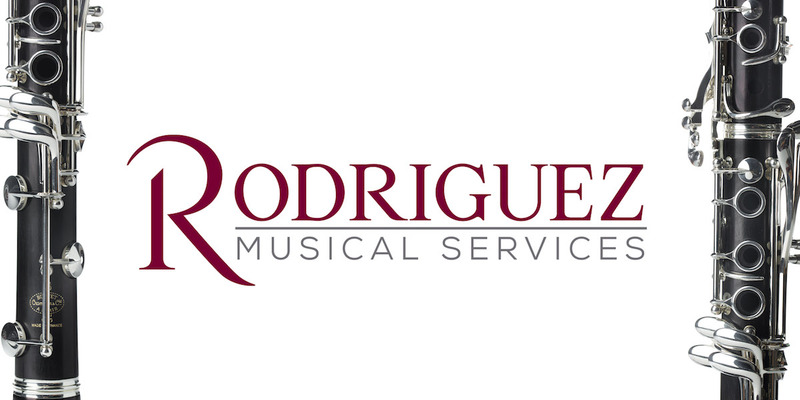 Sergio Bosi is principal solo clarinet of the Orchestra Filarmonica Marchigiana and clarinet professor at the Gioachino Rossini Conservatory in Pesaro. Riccardo Bartoli also serves as faculty at the Rossini Conservatory and is in international demand as a collaborative pianist. As colleagues and frequent collaborators, Bosi and Bartoli often perform and record together – their recordings include five discs of Italian literature on the Naxos label – so their thoroughly excellent performances are no surprise. Bosi phrases with utmost conviction and a clear affection for this music. His technique is fluid and dazzling with exceptional command of the altissimo. Bartoli is a supportive collaborative pianist, who is sensitive to balance and complements Bosi’s interpretations. 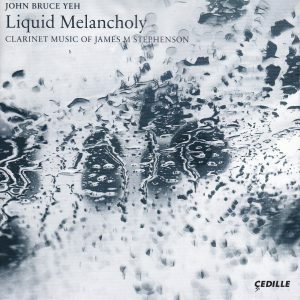 Liquid Melancholy: Clarinet Music of James M. Stephenson, released by Cedille Records (CDR 90000 176), is the result of collaborations beginning in 2010 between Chicago Symphony Orchestra clarinetist John Bruce Yeh and American composer James M. Stephenson. This disc includes world-premiere recordings of Stephenson’s Liquid Melancholy: Concerto for Clarinet and Orchestra; Last Chants; Fantasie; and Sonata for Clarinet and Piano, as well as new recordings of Colors and Étude Caprice. Yeh collaborates with the Lake Forest Symphony, oboist Alex Klein, members of Chicago Pro Musica (violinists Soyoung Bae and Cornelius Chiu, violist Danny Lai and cellist Daniel Katz) and pianist Patrick Godon. James M. Stephenson has emerged as a leading American composer since devoting his full-time attention to composition after a career as a professional orchestral trumpeter. He is especially well known for his sonatas and concertos commissioned by major symphony principals in Chicago, Boston, New York, Philadelphia and beyond. As a result, according to the liner notes, John Bruce Yeh refers to him as “The Concerto King.” Stephenson resides in the greater Chicago area and serves as composer-in-residence with the Lake Forest Symphony. Recently, his Symphony No. 2 “Voices” was premiered at the 2017 Midwest Band and Orchestra Clinic in Chicago by “The President’s Own” United States Marine Band conducted by Colonel Jason K. Fettig to a standing ovation. That work was subsequently recorded and released on the most recent volume of that organization’s educational series, titled Arioso. As the featured artist on this disc, John Bruce Yeh’s performances deserve special mention for his exquisite interpretations. Yeh demonstrates exceptional facility, an even, beautiful sound throughout the registers of the instrument, and a dynamic range that retains focus and resonance from the softest whisper to the loudest outbursts. Chicago Pro Musica is also featured in Last Chants (2015) for clarinet, piano and string quartet, which uses chant-like melodies with open harmonies to create a stark atmosphere. According to the liner notes, Stephenson enjoys wordplay and exploits it here to great effect. As the title sounds somewhat like “last dance” or even “chance,” he contrasts lyrical lines with dance-like material in odd meters and concludes with pitch bending and unrelenting rhythms. 2015 consortium commission of 25 clarinetists led by Yeh. The writing is exceptionally challenging for both performers and it receives a world-class treatment in this recording. I highly recommend these two new recordings and I hope you find something ideal for your own future programs!